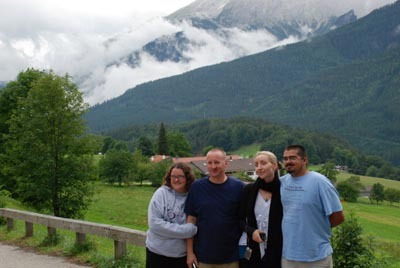 The Hastrich Family enjoys their scenic drive from Schwangau, Germany across the Austrian Alps to Berchtesgaden in August. Check out the low clouds. August was the month without a summer in Germany. Except for a few days, it was mostly in the 70s. Cool weather fans, head to Germany in August!